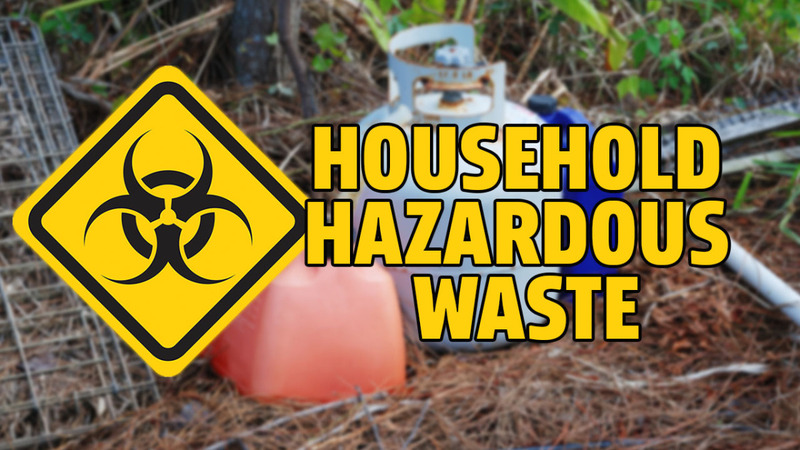 The biennial Alexander County Household Hazardous Waste Day will take place Saturday, May 4, in the County Administration building parking lot. The purpose of this event is to give county residents an opportunity to dispose of environmentally harmful materials, which can be found around the home, in the correct way. Listed below are some of the items that can be disposed of at the HHW Day. -Pesticides which include herbicides, insecticides, and fungicides in the forms of aerosols, liquids, granular, etc. -Miscellaneous items such as acids, bases, kerosene, household batteries, photographic chemicals, fluorescent bulbs, electronics, aerosol cans, pool chemicals, propane gas cylinders and metallic mercury. There will also be a document destruction truck on site for residents to securely dispose of personal documents. A five box per vehicle limit will be enforced to ensure the line moves as smoothly as possible. The dimensions for an average copier paper box is approximately 18”x12”x10”, anything larger than this will count as more than one box. The HHW Day is a free service for the residents of Alexander County only, businesses will not be allowed, with the exception of farmers. Farmers are welcome to dispose of insecticides/pesticides free of charge.